THE PASSAGE + JAN RICHTER-FRIIS DFF | Wizzo & Co. 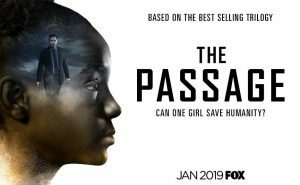 This month saw the premiere of the much-anticipated TV drama The Passage. Featuring cinematography by Director of Photography Jan Richter-Friis DFF, the series is based on author Justin Cronin’s trilogy of the same name. The action-drama is centered on a young girl chose to be a test subject of the secretive ‘Project Noah’ – a medical facility where scientists experiment with a dangerous virus that could lead to the cure for all diseases, but with potentially disastrous consequences. The federal agent tasked with bringing her in instead becomes her surrogate father, determined to protect her at any cost. Produced through Ridley Scott Associates and with Jan’s episodes directed by Allison Liddi-Brown, Jessica Lowry, Ty West, and Mark Tonderai, The Passage is now able to be viewed on FOX TV UK.